The Maletto Vessel Sink Vanity offers eye-pleasing geometry and a minimalist design that is undeniably stylish without being over-the-top. The Travertine counter top comes pre-drilled for, and it also includes a vessel Travertine sink. A single drawer is concealed behind its single door. 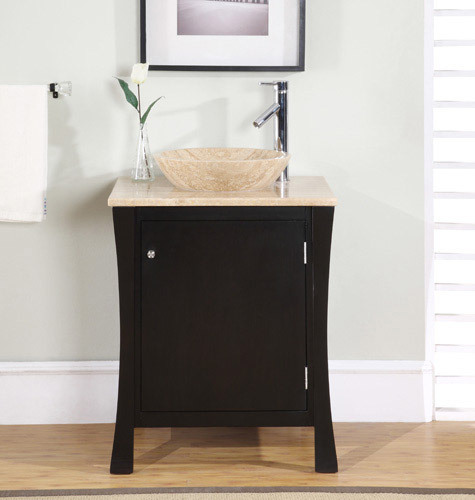 This vanity is ideal for smaller bathrooms, but does not sacrifice looks for its size.